Neck pain can be simply unbearable. Pain in the neck means that bad posture habits are formed and still in practice. Neck pain can lead to throbbing headaches and sleepless nights from immense discomfort. Neck pain can also degenerate into back pain if it is not corrected. There are many ways in which we can relieve the strain we’ve put on our necks from bad posture. These are simple remedies that we can adopt before it gets to the point where only surgery can be the solution. A hard pillow is bad for your neck and causes neck pain because your head (and your whole body) is heavier when you are asleep. Stomach sleepers are the most prone to develop neck pain because of the strain placed in the neck during sleep. Stomach sleepers will need to learn to sleep in another way that takes the strain off the neck. No matter how you sleep, the best pillow for you is one which allows your neck and head to be in a straight line, with adequate support while giving you a relaxed feeling. It is normal to lean forward with head dropped and neck bent when sitting at the computer or when using your phone. But the weight of your head places considerable strain on your neck in such a position. The Turtle exercise is about training your head to sit well balanced on your neck and shoulders no matter how long you have to sit and peer into a computer screen. This alleviates neck pain. From time to time, level your chin, lift your head and pull it back until your ears are above the back of your shoulders. Hold for 5 seconds or until you feel that stretch. Then release. Keep your computer or phone at eye level. It’s advisable to go for a swim when your neck feels strained. Water relieves neck stiffness, neck inflammations and neck pain. A swim can have therapeutic benefits for your neck and spine because it encourages stretching and moving in different directions, which is good exercise for the neck. Make sure the water is warm. Choose strokes that do not place further strain on the neck muscles. Vary your strokes. Drinking water also forces your neck to tilt upwards. Also, dehydration leads to degeneration of the vertebral discs. 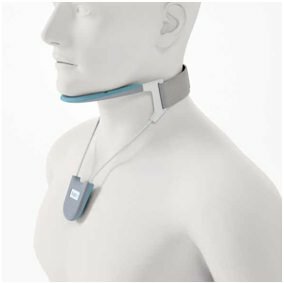 Neck Braces are also known as cervical collars help to take the weight of your head off your neck and shoulders. By doing so, this allows any damaged tissue and your muscles time to recover properly. Additionally, the Neck Brace helps relieves pain in your neck with posture improvement in your neck and upper back. It is important not to try to retrain your neck to sit in a good position all by yourself. Enlisting the help of a tool like a Neck Brace ensures that you do not do more damage to your neck. Do not sit for too long without taking a break to stretch your neck and your shoulders. Anything that affects the neck affects the shoulders as well. Take time off your work to lengthen your spine and broaden your shoulders. This automatically realign your neck and alleviates neck pain. You can even wear a Neck Brace while you do the neck and shoulder stretches just to make sure that you’ve got the alignment of your neck and shoulders right. Make sure that you pinch your shoulders as far back as you can and the position for a few minutes. This restore blood flow to the neck.